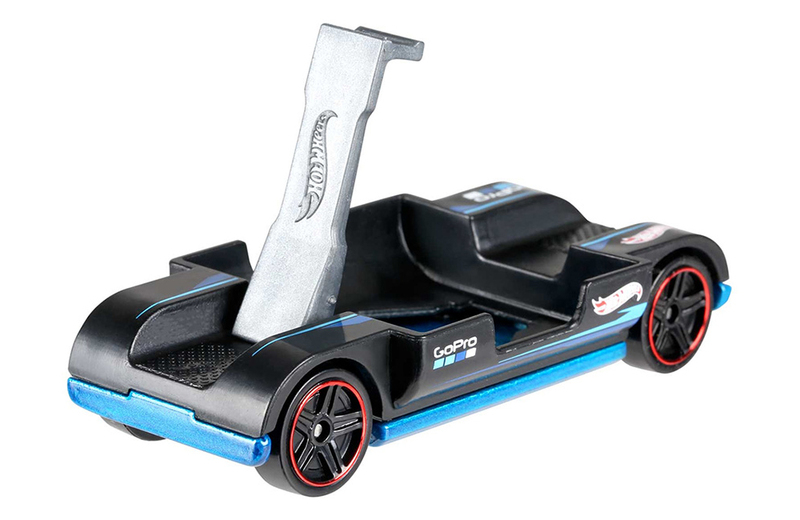 Mattel has unveiled the Zoom In, a limited-edition toy car under its Hot Wheels brand, featuring an integrated GoPro camera mount. The black and blue model includes a cradle sized to fit either a GoPro Hero Session or Hero5 Session camera. A built-in metal latch holds the camera in place so it can capture first-person HD footage as the car races over jumps, navigates banked corners, and goes through loops. The Zoom In has a suggested retail price of $1.09 USD – the same price point as most other Hot Wheels – making it one of the cheapest GoPro accessories on the market. Look for the Zoom In at most online retailers later this month. The Play-Doh Poop Troop set from Hasbro is a poo-a-palooza! 8-bit pixel art intersects with iconic video game characters in the initial release of Pixel Pals from Performance Designed Products (PDP).